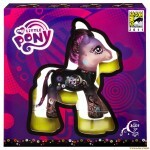 Check out official product images for Hasbro’s San Diego Comic Con 2011 Convention Exclusive My Little Pony figure. I guess Mighty Muggs are relegated to SDCC exclusives now, eh? That being said, these are awesome, especially the Marvel Mini Muggs. But dammit, I want this line back in full force in the stores. Digging the Sky Striker, and SDCC version. Rest of SDCC stuff - probably pass. I'm so getting those Mighty Muggs. I like the look of the SDCC Sentinel figure, the giant blister card is sick, and the artwork is amazing. I'm digging the new MU waves, and the Mighty mugg avengers set is both reasonably priced but looks fantastic! I love the look of that Spidey figure with cloth removable mask. Don't lie, you are buying the My Little Pony. 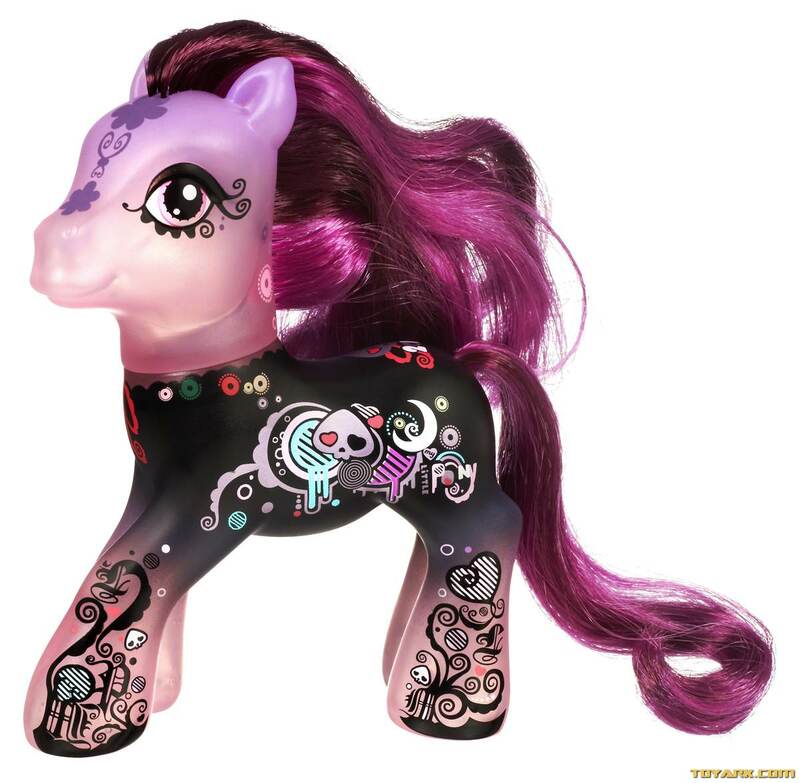 That Pony is garishly trippy. Why is that a G 3 PONY? anymore iron man figures??? I hope we see the final battle whiplash and 2 exo armor mark 6 and war machine prototypes made!!!!! Yay! 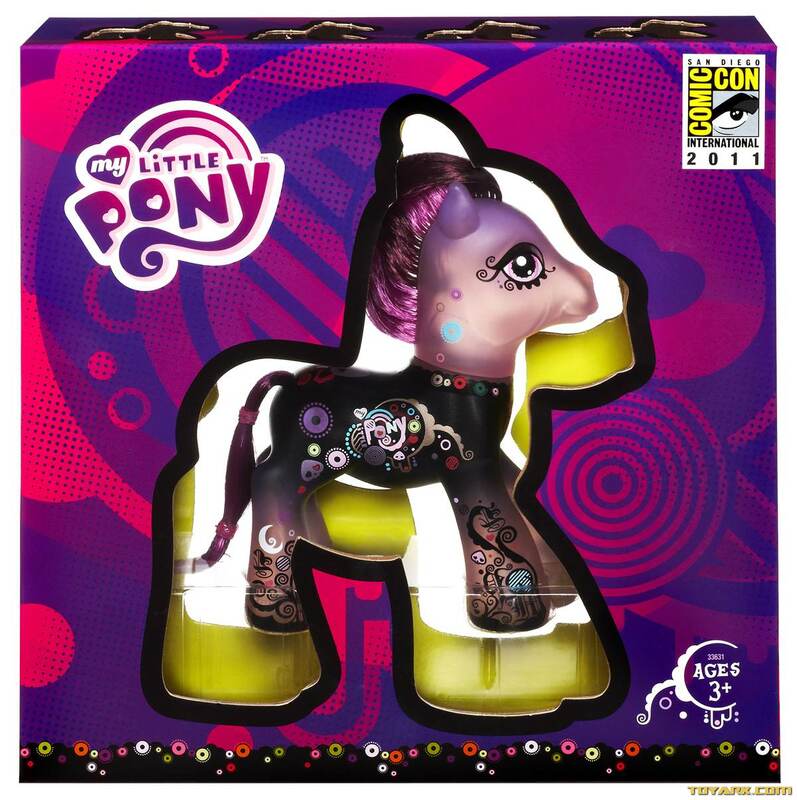 My second SDCC My Little Pony in a row! were prices ever posted yet for the exclusives ? I want to get the first edition optimus in the matrix package and that that death start star wars figure pack is looking pretty cool too. Anyone have any idea ? I want to find out early so i can see if maybe i can find someone that would buy one or both for me if i sent them some cash form them. The only figure that really appeals to me out of the Death Star pack is that Han, I'd really like an articulated ROTJ Han Solo, but I'm afraid of what kinda prices it being an exclusive will make it. Oh well, I dream. I'm curious about prices as well, especially for the Star Wars pack, the Sentinel, and the Indiana Jones figures. They are a cool batch of exclusives this year.